James Crispin is the Big Daddy of Father Nature, or 'Fat Nat' as he likes to call it. 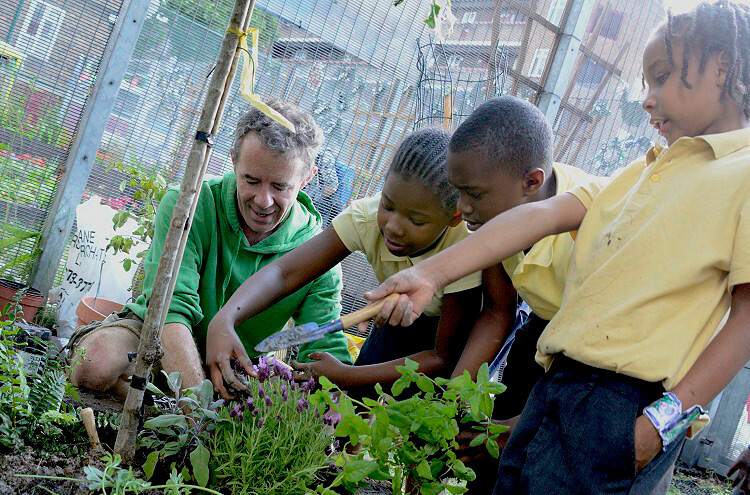 Having lived in Brixton for over 20 years, James Crispin's love of gardening is matched by his keen interest in his community. 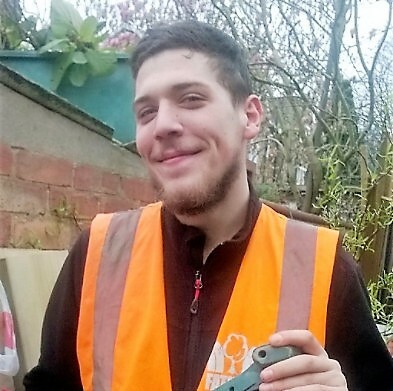 His happy childhood memories of learning to garden alongside his mother Carmel inspired him to start Father Nature in 2005 as a voluntary gardening project for young and teenage dads and their kids in Lambeth in collaboration with St. Michael's Fellowship, a local family charity. 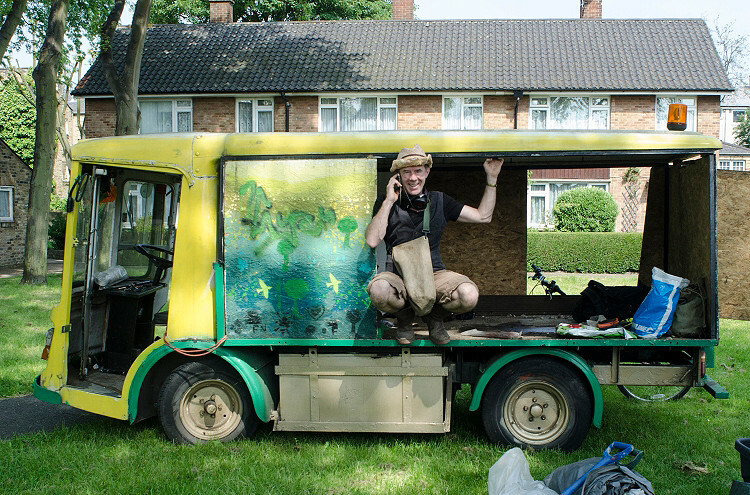 Since 2005 Father Nature has grown alongside James Crispin's personal mission to get local people growing together and having fun outside. 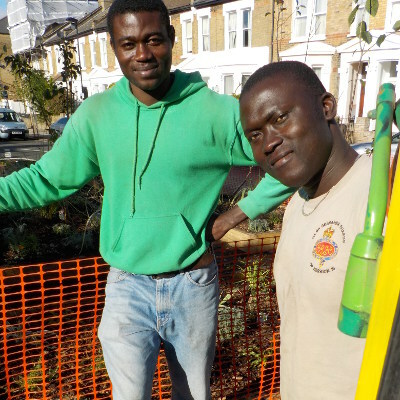 He now works closely with young dads, local schools, Lambeth council and a host of like minded educational and growing groups to make Lambeth a flagship for innovative and sustainable community gardening projects. James Crispin is a qualified landscape designer with a City & Guilds Garden Design Diploma, and the Royal Horticultural Society Level II. He is also an Accredited Capel Manor External Tutor and BTEC Adult Coach, will full DBS clearance. 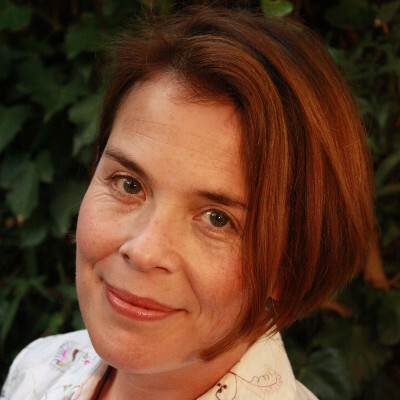 Paula has played an informal role in Father Nature since its inception. In 2014 she officially joined the Fat Nat team to help her partner Crispin meet Father Nature's growing admin needs and media interest, bringing her past experience as a professional writer, journalist and TV producer with her. Paula also has a BSc in Integrated Health and her keen interest in healthy living informs all Father Nature's projects. Finally, as a mother of two boys she knows that gardening is an important salve to hectic city life and a great way for adults and kids to connect with nature, get creative outdoors, and left off steam! Paula has lived in Brixton since 1987. 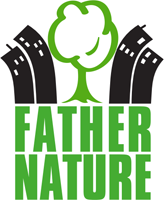 Baba and Mr Badjie are part of the core Father Nature team. They are our planter building superheroes! 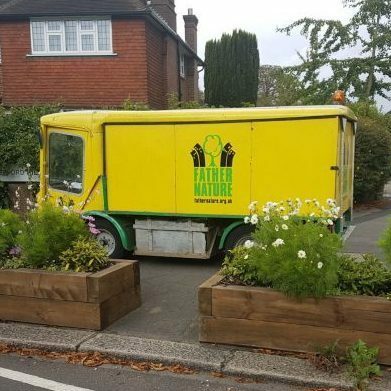 It doesn't carry milk and it doesn't float but the Father Nature milk float can take up to 4 tonnes of earth, going 20mph at full throttle! Not bad for an electric vehicle that's 35 years old! Andreas has been working with Father Nature since 2015. When he's not digging earth and laying paths you can find him laying down tracks for his rock band 'Hand of Doom'.